Intratrek Zimbabwe director Wicknell Chivayo has apologised to the Zimbabwe Power Company (ZPC) for the delays in the implementation of the Gwanda Solar project. This comes after High Court judge Tawanda Chitapi ruled that the contract between the Zesa Holdings subsidiary and Chivayo's firm was still valid and binding. Since 2013, when the project was first put to tender, no meaningful progress has been made in implementing the project. Chivayo had dragged ZPC to court for raising malicious charges of fraud against Intratek and allegedly frustrating his company, and hindering it from fulfilling its obligations. 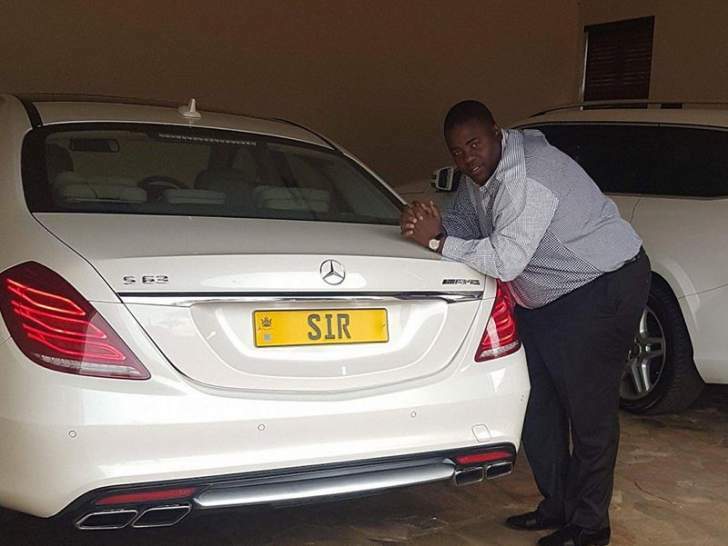 The jet-setting businessman had approached the High Court seeking to overturn a charge of "criminal conduct" in the manner in which he won the 100-megawatt (MW) Gwanda solar tender, which his lawyers said was designed to frustrate the burly businessman. "It be and is hereby declared that procurement contract No ZPC 304/2015 dated 0ctober 23 2015 between the applicant and respondent is valid, and binding between the parties," Chitapi ruled, adding the energy firm "acted unlawfully and in bad faith" - and possibly under external influence - especially when the contract provided for a dispute resolution mechanism in a matter which did not warrant any criminal sanction. "The parties shall meet to review progress in regard to the discharge of their obligations in terms thereof as provided for in clause 5 of the contract within 60 days of this order failing, which the party in default shall be deemed to have repudiated the contract and liable in damages to and at the instance of the innocent party," Chitapi ruled. Chivayo's High Court claim was broken down as $15 million for loss of profit from the purported termination of the engineering, procurement and construction (EPC) contract, $5 million for costs in putting together the CHINT Electric partnership and China Exim Bank financing as well as $5 million for reputational damage. Chitapi emphasised that Zimbabwean law provided for competent remedies and the ZPC's "attempts to hold the EPC contract as either lapsed or terminated was incompetent, and the company could not terminate an agreement, which had not commenced". He also said the involvement of state organs in the form of police in a situation where there was a clear dispute resolution mechanism of arbitration was "unfortunate and precipitate", and such conduct "would send wrong signals to investors that if they conclude contracts with state entities they risk criminal charges". Chitapi said section 49 (2) of the constitution guarantees that "no person may be imprisoned merely on the ground of inability to fulfil a contractual obligation and the sanctity of contracts enjoys constitutional protection". In a statement last weekend, Intratek welcomed the ruling and apologised for delaying the project. "On behalf of our shareholders, the board and management I would like to also take this opportunity to sincerely apologise to our employer ZPC and to the nation as a whole for all the delays in implementing the project and rest assure you the 100 MW Gwanda Solar Power station will be commissioned sooner rather than later," Chivayo said in a Facebook post. "As a young businessman we learn from our mistakes as we grow so our focus remains to implement the project in the fastest possible time and feed in 100 MW of clean energy into the national grid for the benefit of the nation and indeed the reputation of our company." Chivayo also expressed gratitude at the High Court ruling pointing out that they were not concerned about compensation for damages incurred during its squabbles with ZPC. "At Intratrek Zimbabwe (PVT) LTD we are gratified and relieved by the High Court's verdict. As a company owned by eminent and patriotic Zimbabweans, we however have no intentions whatsoever of pursuing the claim or benefiting from any damages," the statement said. "As patriotic Zimbabweans, we have no intentions of benefiting from any damages. Our focus remains to implement the project... and feed 100 MW of clean energy into the national grid for the benefit of the nation. "...I would like to also take this opportunity to sincerely apologise... and assure the nation that the project will be commissioned soon," Chivayo said.